Together, quality journalism and critical audiences in a free society form the foundation of a healthy information environment that can help the world deal with these challenges of our times. Today, 3 May 2017, is an occasion to celebrate World Press Freedom Day, to recognise the importance of free, independent and quality journalism that can thrive when information is available to all without restrictions. Freedom of expression and freedom of information are fundamental rights and essential for sustainable development. Media’s contribution to the 2030 Agenda for Sustainable Development is vital for Sustainable Development Goal 16 – “peace, justice and strong institutions”. Quality journalism informs citizens about issues that affect them, holds institutions accountable and contributes to peace and democracy by providing a voice to all. It promotes mutual understanding when tensions arise, and it empowers people to participate in the democratic functioning of their countries. 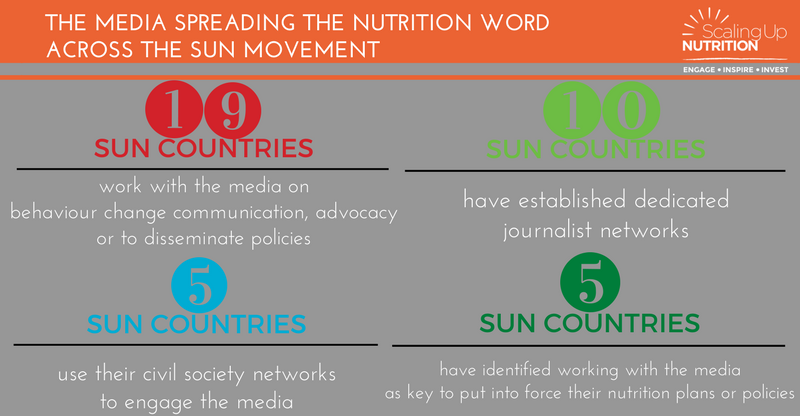 The SUN Movement recognises that malnutrition has multiple causes and uniting the efforts of multiple sectors and stakeholders, including the media, is fundamental to addressing the challengea. 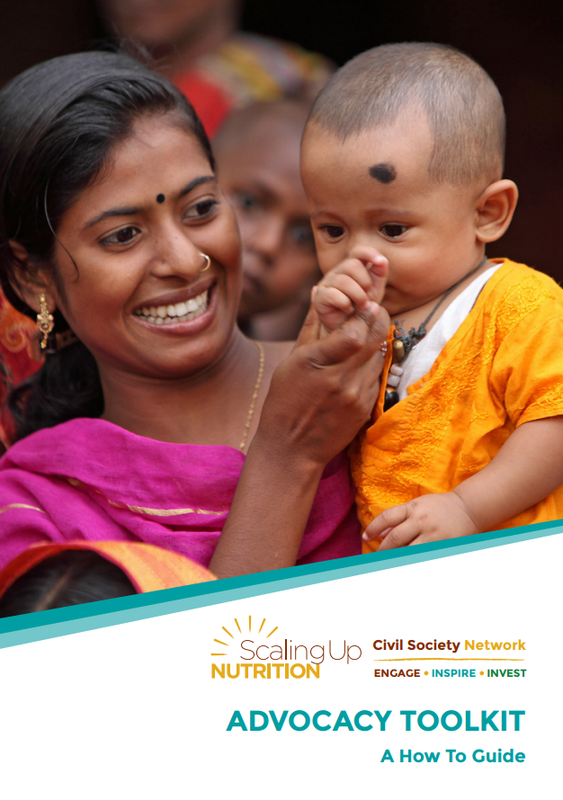 The media has the potential to boost the efforts of stakeholders in scaling up nutrition which is evident in the increasing number of SUN Countries reporting valuable and fruitful collaborations as well as plans to increase media engagement. It is recognized that the media has a massive role to play in raising awareness and communicating messages around good nutrition and healthy diets to the masses, but also in conducting advocacy efforts to ensure that nutrition remains high on the political agenda and that the right policies, governance structures and actions are put in place to foster accountability across stakeholders. All children are princes – A film to fight malnutrition in Cameroon. As part of the Nutrition Advocacy Plan for Children in Cameroon, the Ministry of Health with the support of UNICEF, developed a 33 minute film (produced by African Earth Films) to educate and inform the general public about child malnutrition and its consequences. The purpose of the film was to mobilise political will, and efforts of policy makers, donors, the private sector, and all citizens to invest more in nutrition. Viewers from different governmen t ministries, civil society, other UN agencies, the private sector, the Chamber of Commerce and journalists attended a special event screening the film, organised by UNICEF. Finding a Common Voice for Nutrition. Bangladesh developed a joint national advocacy and communication strategy for nutrition to raise awareness about nutrition through a variety of media. 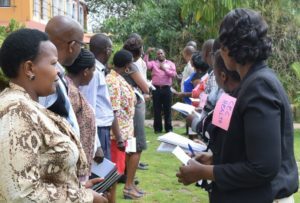 It intended to bolster political will, build capacity for communication and raise awareness for best practice behaviour change at the community level. Over 70 organizations from civil society, media, UN, development partners, private sector and the academic community were actively involved. 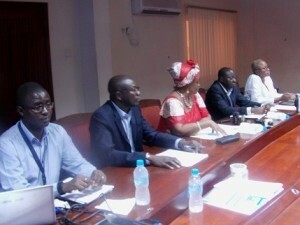 Sierra Leone intensifies nutrition awareness with media engagement. 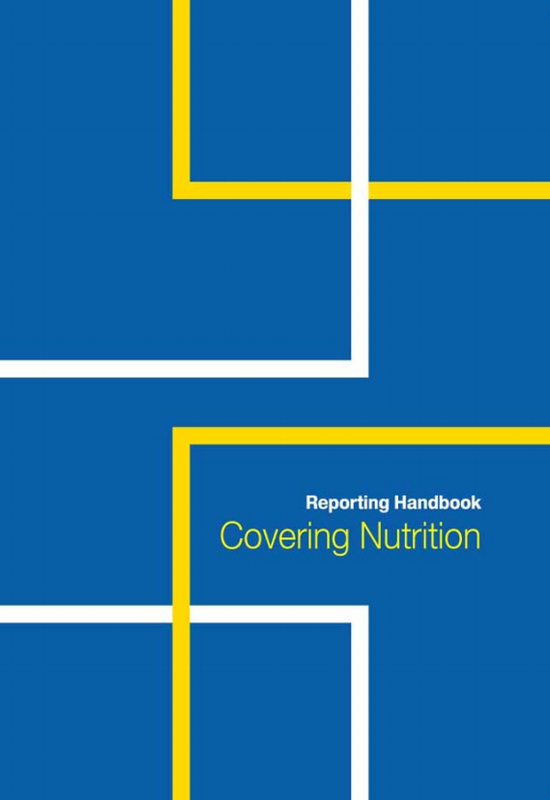 Transforming Media Reporting of Nutrition Issues in Kenya. 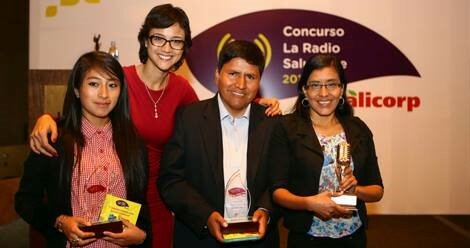 Regional government in Peru partners across sectors to launch a healthy nutrition radio campaign. Three educational nutrition campaigns in the regions of Puno and Cusco Ayacuho, were awarded in the IV National Healthy Radio Competition in 2015. The campaigns were broadcast on Healthy Radio (Radio Saludable) – an initiative that educates rural populations on nutrition and child development through radio where there are high rates of child malnutrition. Through this initiative, training workshops are held to provide radio broadcasters, journalists, students and teachers with the knowledge and tools needed to effectively communicate to broad audiences, the importance of healthy nutrition behaviors. Three SNV videos shortlisted for the 2017 Social Impact Media Awards. Three videos commissioned by SNV were shortlisted for the 2017 Social Impact Media Awards (SIMA) which champion the creative works of visual storytelling that inspire activism, compassion and social transformation. Sustainable Nutrition 4 All was produced for SNV’s flagship agricultural program in Zambia. The video portrays families triggered and empowered to reduce the causes of malnutrition in their own community by themselves. Farming in Sneakers was produced for SNV’s flagship programme Opportunities for Youth Employment in Tanzania. Balancing Benefits was produced for SNV’s transformative gender approach in Tanzania where SNV works together with men and women to change social and gender constraints; empowering men at home and in business to share authority with women! The SUN Civil Society Advocacy Toolkit includes a feature on “How to Engage Media” written by Angela Pereira of the ACTION Secretariat. 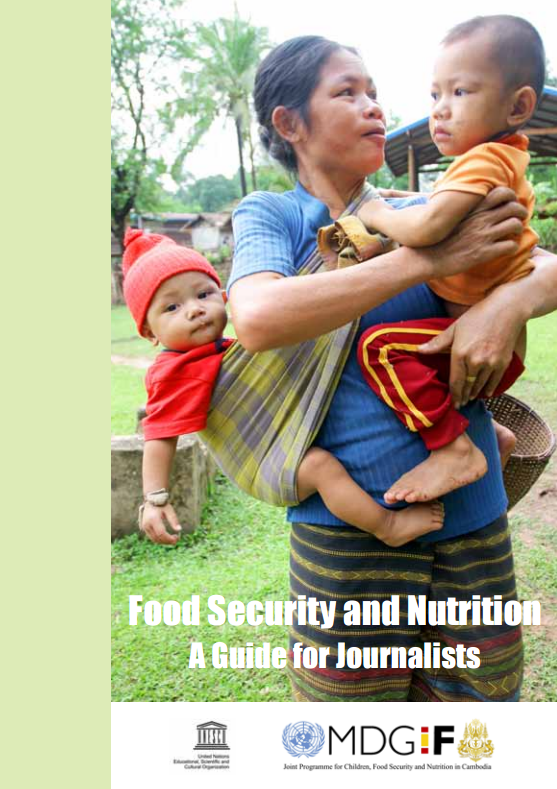 A reporting handbook for journalists covering nutrition was published in 2014 by the Management and Resources Development Initiative (MRDI) in Bangladesh. UNESCO developed a media handbook for journalists under the assumption that journalists are in the best position to affect change in society, as they can identify pressing development issues at the local level. Media and journalists around the world are harassed and even killed for informing citizens and carrying out critical reporting on issues of public interest. Every four days a media professional gets killed for doing their job. The UN Plan of Action on the Safety of Journalists and the Issue of Impunity (EN, FR, ES, RU, CH, AR, DE, PR) works to change this. World Press Freedom Day celebrates the fundamental principles of press freedom; to evaluate press freedom around the world, to defend the media from attacks on their independence and to pay tribute to journalists who have lost their lives in the exercise of their profession. World Press Freedom Day was proclaimed by the UN General Assembly in 1993 following a Recommendation adopted at the 26th Session of UNESCO’s General Conference in 1991. This in turn was a response to a call by African journalists who in 1991 produced the landmark Windhoek Declaration on media pluralism and independence. 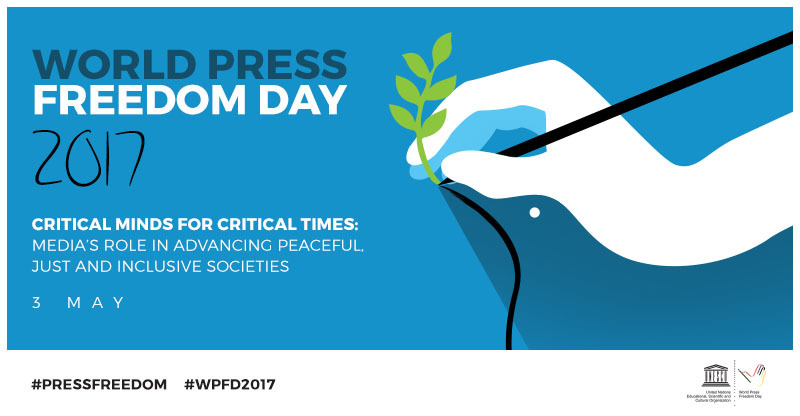 In 2017, UNESCO, the Government of Indonesia, and the Press Council of Indonesia will co-organize the World Press Freedom Day’s main event and the UNESCO/Guillermo Cano World Press Freedom Prize Ceremony in Jakarta, Indonesia. The global theme of 2017 is Critical Minds for Critical Times: Media’s role in advancing peaceful, just and inclusive societies. Visit UNESCO at http://en.unesco.org/wpfd to learn more.